The club has been given a further boost with the news that they have been successful in securing a £43,054 grant through the Football Stadia Improvement Fund (FSIF), the largest funder of non-league football in the country. During the course of the 2015/16 season, the club, who play in Division 1 of the Northern League, suffered numerous postponements due to waterlogged pitches despite the tremendous efforts of the groundsman and the club’s staff. Professional advice, through Sports Turf Consultants TGMS Ltd, was sought and it was clear that only major work to improve the drainage would resolve the problems in the long term. This FSIF grant will help the club tackle this by enabling it to carry out major renovation work to their Heritage Park ground, with improvements to the drainage and irrigation system, delivered by Full Circle Irrigation Services, helping provide them with a first class surface. Work is being carried out by Danvic Turf Care Ltd and is expected to be completed by the end of June 2016. 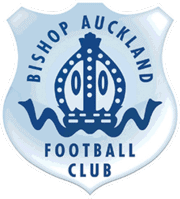 The funding will build upon previous FSIF investment of £250,000 that enabled Bishop Auckland FC to relocate to a brand new stadium in 2011. The club have also previously benefitted from the Football Foundation’s Grow the Game scheme, which is funded by The FA and Premier League. These Grow the Game grants, worth over £5,000, helped the club to expand its women’s section. Richard Scudamore, Executive Chairman of the Premier League, said: “I would like to congratulate Bishop Auckland FC on securing this £43,000 grant from the Premier League, through the FSIF, to bring about significant pitch improvements. The additional funding provided by the loyal, late fan, Colin Rowell, will serve to honour his close affiliation with the club. « The Club has a new website!